There are more and more difficult materials used on wide range of application, which are poor thermal conductivity, good toughness, with higher content of Cr or Ni, but difficult to process. 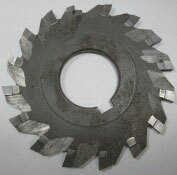 Most people use cobalt tungsten carbide cutting tools, but the processing effect is not good. The customer use carbide tipped circular saw which contains Ni 50%, caused that the middle of Cu cannot be removed after machining. 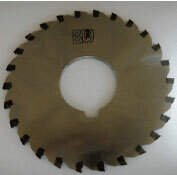 For solving this problem, BW develops a new cutting saw -- metal ceramic brazed circular saw blade. After testing, the new type is obviously more effective than old one. The finished products may meet customes’requirements. 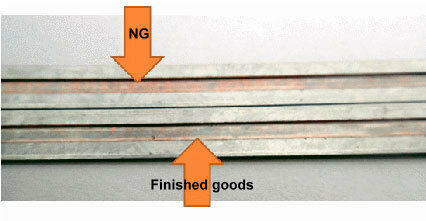 The cutting edge is with self-sharpening effect of re-grinding. No infiltration effects on the blades. There is no pollution by using Co as the metal bonding material, instead of the mixture of Ni and Co.
Increasing the surface finish and accuracy. Enhancing the continuous processing capacity.